Every year a company raises hopes that wireless charging of mobile devices will finally move to mainstream. And every year such hopes are dashed when product details are revealed. Typically the issues are price and availability: either your device isn't supported or the equipment costs far too much. Attempts to mass-market wireless charging systems have been tried before. Each time they've fallen flat due to price and device compatibility. Remember the Energizer Powermat? Technically that's still a thing but in general you'd be hard pressed to find anyone who uses one to charge their phone. That's because Energizer thought they could fetch upwards of $100 per charging mat to charge devices most people paid less than $200 for. Worse, only a handful of devices were supported due to the fact each device required the addition of a special inductive battery/cover combination in order to work with the charging mat. Suddenly plugging in the charger that came with your phone sounds very appealing compared to shelling out $100+ for a charging mat that is bulkier and doesn't travel as well as the little OEM wall wart. So now comes Nokia in its last serious attempts to make a stand and show the world its devices are not only relevant but are also to be coveted as some of the most advanced phones available. No other manufacturer has really pushed inductive charging for its devices. Nokia can bolster its reputation as a groundbreaking company by making wireless charging standard on its most advanced phones. Alas, Nokia is only offering the option via add-on accessories. And, as is typical for phone makers, Nokia is treating the phone accessory game as a profit center: $30 for the battery/cover and another $80 for the charging pad. 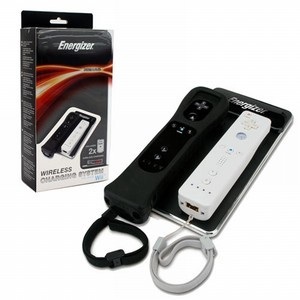 Energizer had no luck in its $100+ multi-device system despite a mass-marketing push through Best Buy and Walmart. Why does Nokia think a $100+ Nokia-only system will fare any better? Ok, so Energizer offered a $100+ charging system and now Nokia is launching a $100+ system. New, advanced technology costs money, right? Sure, new tech costs money but in this case it seems Energizer and Nokia are banking heavily on the idea of "new to you" -- if consumers perceive tech to be cutting-edge then consumers will pay more for it. If this is actually the case then Energizer and Nokia are betting that consumers don't know (or care about) history. Wireless transmission of electricity is not new tech. It isn't even old tech. It is really, really old tech. Standard AM/FM radio waves are a common form of wireless transmission of power though the amount of power in a radio signal is too small to be useful for charging anything. Wireless transmission of energy for the purpose of powering something predates the first commercial radio transmissions. The first patent for transmitting power without wires was filed in 1891. Two years later in 1893 the same person, Nikola Tesla, demonstrated the technique in Chicago by powering lights without wires. Got that? The technique for the wireless part of wireless charging has been around for nearly 120 years yet we still rely on wires to do the job. Why? The cost? Not so. 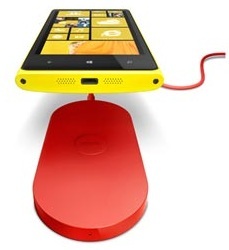 Any console gamers (Xbox, Wii, Playstation) are already ahead of the pack on wireless charging. That's because inductive charging of wireless game controllers has been in widespread use for years. What's more, it is inexpensive because it is treated like the commodity it is and not as some cutting-edge tech that it isn't. batteries for Wii is only $25. Why does Nokia charge over $100? Got a Nintendo Wii? You can purchase a charging mat and two Wii controller inductive battery/covers for only $25 shipped (and no tax). Our family upgraded to wireless charging on our two Wii controllers over two years ago and even then it was only $30 for the whole setup. But that's just one example, you say? Here's another: in 2010 a student at Oregon State University wrote a thesis on construction of a wireless charging system. The system was demonstrated to charge three devices at once and was built with new, retail-priced parts totaling under $130. In fact, nearly 25% of the overall cost was attributed to a single, overpriced 9-volt power supply from Radio Shack. If a student can cobble together a three-device wireless charger for $130 at retail prices (Radio Shack! ), surely Nokia can do much better for a single device charger. Why, then, does Nokia ask well over $100 for the same tech to charge a single phone? I have to believe it's purely for bragging rights: Nokia gets to *claim* wireless charging capability but does not have to put any serious money into providing large numbers (i.e., for every phone) of charging systems. By pricing well above what most people will pay Nokia gets away with a much lower investment yet still gets to claim its devices have the "advanced" charging option. Guess who was recently granted a patent for wireless charging of a mobile device? If Apple brings out wireless charging it's a good bet they'll do it "right" and make existing add-on options look clunky by comparison. Nokia had a chance at making a play for serious bragging rights for wireless charging but two years from now I doubt anyone will remember Nokia even offered the (overpriced) option. Side note: Apple Ingratiating Itself with Law Enforcement? Apple was also recently granted a patent for a system to disable devices within a specific area or via an external control signal -- in other words, a method for some device outside of your phone to disable functions on your phone. Apple says this is a plus for consumers: imagine your favorite movie theater (Austin's Alamo Drafthouse!) being able to automatically silence ringers and turn off phone screens during showtimes except, perhaps, for emergency calls. That sounds great, but also imagine your local authorities being able to instantly disable certain aspects of your phone (calls, camera). People would no longer be able to capture and send video of the police doing their job -- an activity which some people here in Austin have been arrested multiple times for despite filming public servants in public areas (there's more to that story but that's an entirely different subject). Even if you don't care for the sound of this forthcoming feature don't blame Apple when it comes to pass -- the company is just doing its job of identifying likely next-gen features and staying ahead of the pack. Despite all its recent efforts to the contrary and the beautiful phones the company tends to make, that's a lesson Nokia seems to have missed with regards to inductive charging.